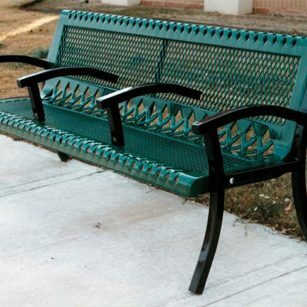 Greenscape | TerraBound Solutions Inc.
Our park benches are all commercial grade, designed for parks, schools, and recreational outdoor public areas. 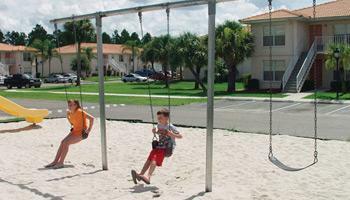 Our clientele are cities, schools, churches, contracting companies that build apartments, buildings and parks, etc. 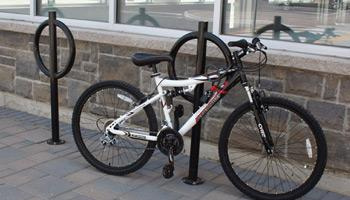 Our various styles of commercial bike racks offer durability and functionality with leading industry standard materials, custom designs and sizes. 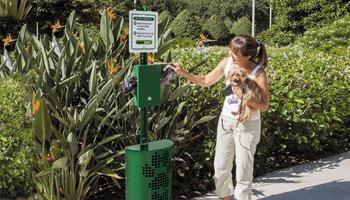 Since not picking up after your dog is a finable offense in most areas, you don't want to be caught without a dog waste station nearby when nature calls. 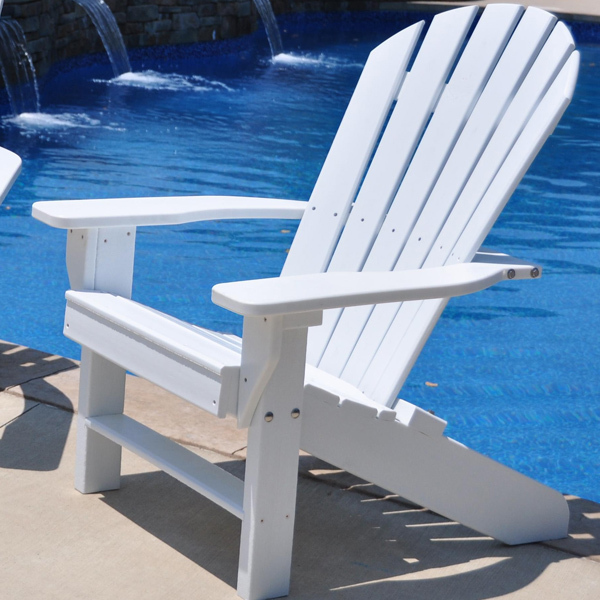 TerraBound features many varieties including wood, recycled plastic, metal coated, aluminum, children's, wheelchair accessible or ADA friendly. 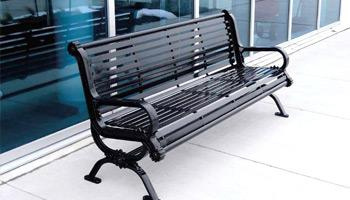 TerraBound Solutions offers a wide range of park benches for both residential and commercial use in a range of styles, materials and sizes. 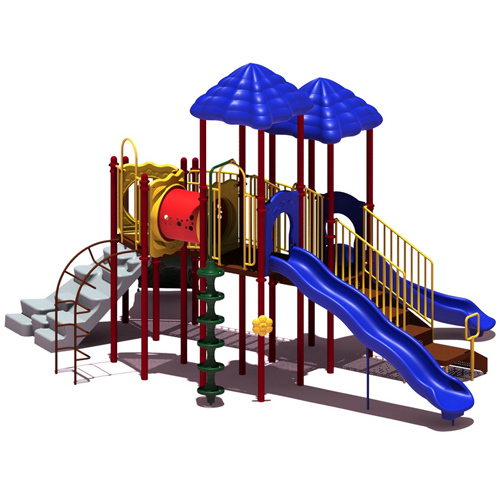 Explore our lines of commercial playground equipment and residential outdoor play systems where you will find whimsical and imaginative safe play structures. 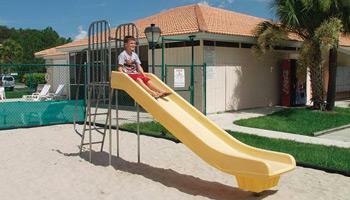 Our outdoor slides for sale come in a range of designs and sizes to compliment any playground system. 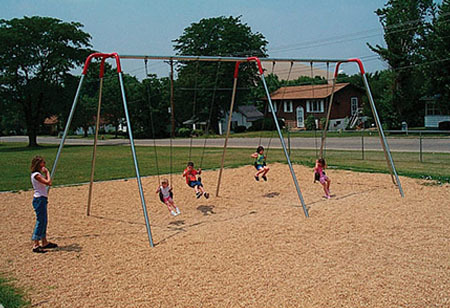 Terrabound offers kids swing sets for both residential and commercial use in sizes and styles of playground swings for every age. 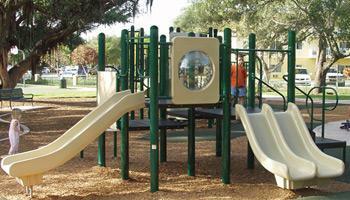 Our various playground climbers provide all ages of kids with hours of fun and exercise with safety and quality in mind. 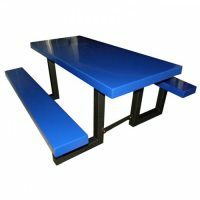 Our bleacher systems include aluminum bleachers, portable bleachers and sports bleachers in tip n' roll style, non elevated and elevated bleacher style. 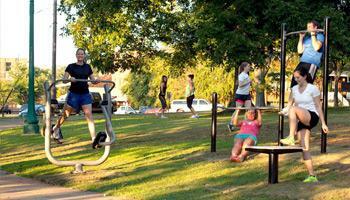 Savor the great outdoors while optimizing your fitness with our outdoor fitness machines, courses, and systems. 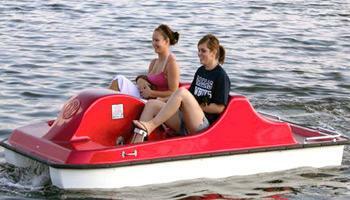 Pedal Boat Cruisers are easy to operate and virtually maintenance-free; ergonomically-designed and easy pedaling action. 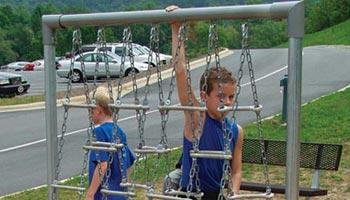 Add adventure to your aquatic area with a pool side climbing wall. 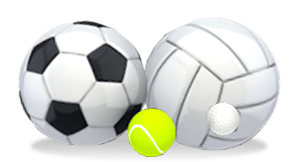 Suited for indoor and outdoor use! 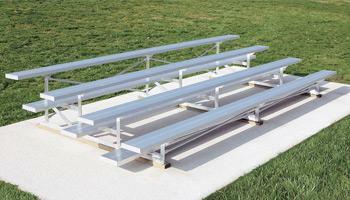 We offer a wide range of sturdy, and long lasting team benches for both temporary and permanent installs. 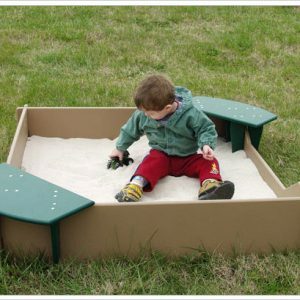 Play System can be customized! 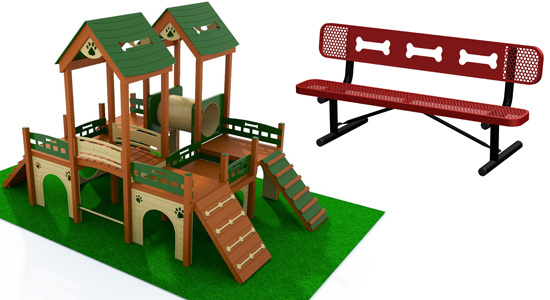 SKU: 100271 Categories: Playground Equipment, Early Childhood Play Systems, Commercial Play Systems, Eco-Friendly Commercial Play Systems Brands: Playtopia. 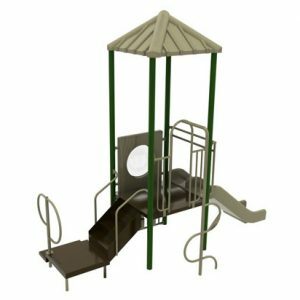 The Greenscape play system is designed with ages 2-5 in mind! 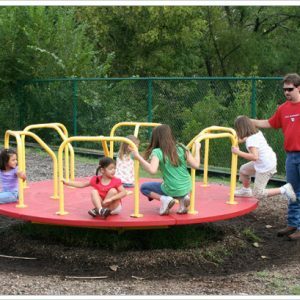 Our eco-friendly line of early childhood play systems feature 6″ x 6″ FRP (fiber glass reinforced post) support posts, large 46.5” x 36” platforms, 30” tunnels and slides. 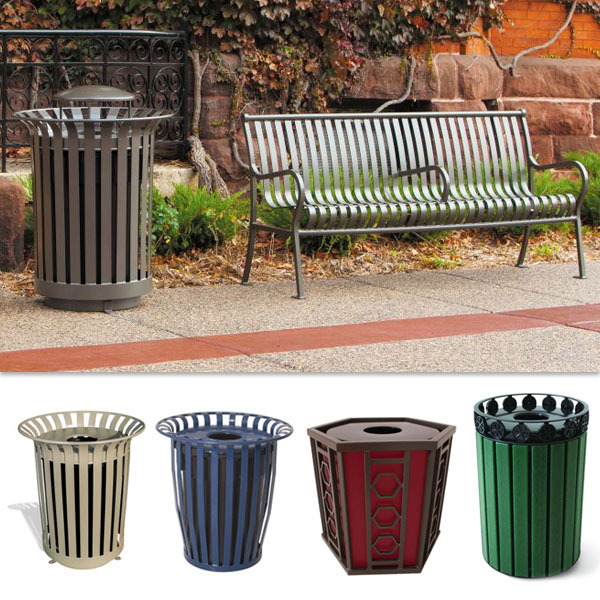 Not only are they built to outlast and outperform traditional wood or coated metal, but it is completely earth friendly. That’s right! 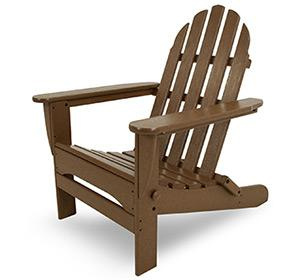 Our HDPE material is made of recycled milk jugs and manufactured in the USA. It is our mission to not only make products that bring joy, spark imagination and safe play to children but also reduce our carbon footprint with sustainable products. What does sustainability mean to us? It means not only are we making products for this generation but also the next! It also means we are working to protect the world we live in now. 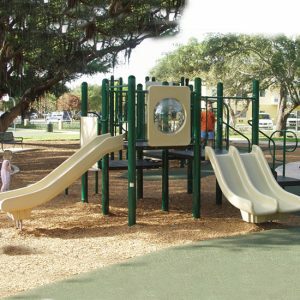 By purchasing one of our eco-friendly play systems you are helping preserve our environment. Yay! 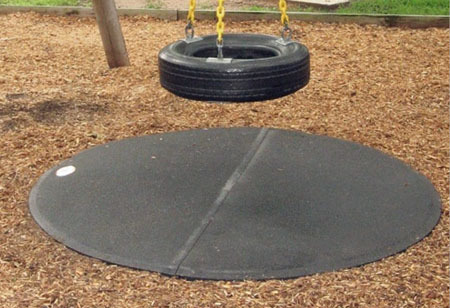 This play system is Green Circle Certified! Please Note: If your item is listed as “Custom Shipping“, shipping will be charged separately. If you have placed an order via our shopping cart service, you will be contacted with a custom shipping quote before your card is charged for the product cost. Freight shipping cost is determined by delivery address. 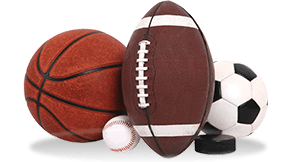 Additional charges may be incurred for delivery to churches or residential areas as well as any additional services requested. For more information, please visit our Shipping Info page. If you would like to obtain a shipping quote or place an order: please contact one of our friendly representatives at 877-857-2915 or email customer service at contact@terraboundsolutions.com. 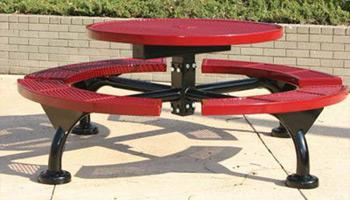 TerraBound Solutions warrants to the owner that this product shall be free from defects in material and workmanship under normal use for a period of one (1) year, provided they are installed per provided installation instructions and that component parts supplied are used. TerraBound Solutions’ obligation under this warranty shall be limited to repair and exchange of any such item, which may prove defective under normal use (vandalism and premeditated damage excluded) during such period. Warranty period begins at final acceptance by owner. Damages and shortages must be identified upon product delivery with freight driver. A customer and freight carrier signed copy of the delivery report should be faxed to the sales support team immediately. 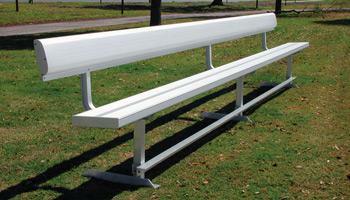 Use Zone: 26' x 19' Age Range: 2 - 12 yrs. Number of Events: 5 Weight: 939 lbs. We pride ourselves on customer satisfaction. Our business model has been designed from the ground up with the customer in mind. Copyright 2016 by TerraBound Solutions, Inc.. All Rights Reserved.